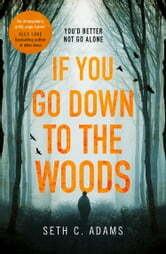 If you Go Down To The Woods by Seth C. Adams in a psychological thriller. 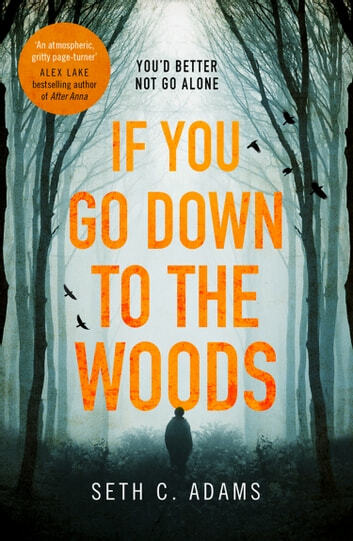 Actually 3.5 stars First, let me thank NetGalley, the publisher Harper Impulse and Killer Reads, and of course the author, for providing me with a copy of this book in exchange for an honest review. My Synopsis: 13-year old Joey Hayworth and his friends Fat Bobby, Jim, and Tara call themselves the Outsiders’ Club. Joey is new to Payne Arizona. Fat Bobby lives in a run-down trailer, and has a father that beats him. Jim is a black boy, whose father runs the town dump, and Tara quickly becomes Joey’s first love. When they find an old car in the woods, their adventure truly begins. What they find in the car is what changes the adventure to a never-ending nightmare. Joey’s older sister Sarah ends up becoming part of the group, much to everyone’s surprise. Between the town bullies, the corrupt sheriff, the “Collector”, and the mob, it is surprising that any of the group survive the summer. My Opinions: I liked the book. Didn’t love it, but it definitely held my interest. In one way it is a coming-of-age book. When the hormones kick in, love blossoms, siblings annoy, and friends are the best. I think if I had liked Joey a little better, my rating would have been higher. But he was rather full of himself, and although that is mainly an age thing, it was annoying. As well, I wasn’t sure that a 16-year old girl would be attracted to 13-year old Joey. So I’m not sure everything rang true. However, the story itself had lots of action, and it is an easy read. The writing was fine, the dialogs sounded “right”, and the overall plot was good (if a little over-the top). I think the comparison to Stephen King and CJ Tudor did more harm than good. Yes, the stories are all about kids, but this one lacked something both the others had. I think it was the kids themselves. They didn’t mesh well together, and from the start I couldn’t see their relationships lasting. However, for a debut novel, it had merit….looking forward to more from this author. There may be a good story here, but I'll never know. The writing was so weak that I couldn't get past the first chapter. This book needs the attention of a good editor to tighten up the writing, improve the flow, and eliminate descriptor overkill. My favourite editorial edict from Strunk and White - omit unnecessary words - applies here. I don't know where the hyperbolic critical raves came from, but I cannot agree with them at this point. This feels like a first draft. What a great read! I wanted to keep reading the story to see what was happening next with the kids! Good plot. Actually reminded me of a Stephen King story. I loved the adventures the kids got into because it gives any reader of this story memories of their own childhood. Of course, most people’s childhood didn’t take the turn that happened in this story. Highly recommend reading this book.